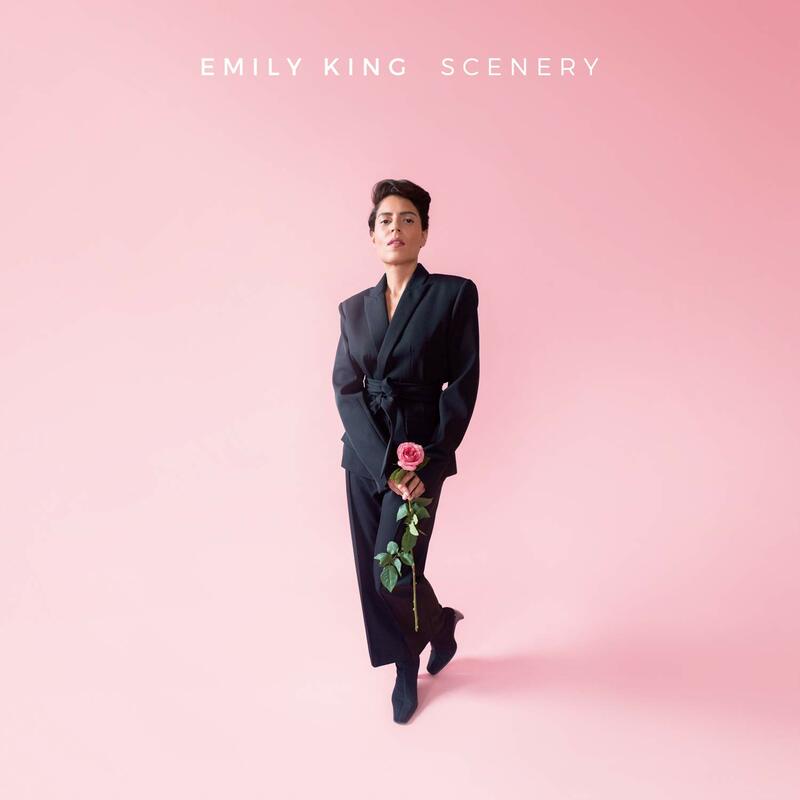 At the beginning of her career, Emily King was signed by Clive Davis’ label. They belatedly released her debut album in 2007. Despite earning a Grammy nomination, King was swiftly dropped. In the aftermath, she carefully planned her next step, and in 2015, she self-released her luxurious second album, The Switch. Having signed to ATO, King now returns with Scenery — a breathtaking portrait of her own life experiences set to a beautiful fusion of dream pop and soothing neo soul. King sets the scene on, ‘Remind Me’, as she whispers, “been in the darkness till you came along, showed me the daylight”. After a soft intro, it springs into life with the gentle swing of the heavenly chorus as she repeats, “something like what I’ve been missing”. The polished synths provide a warmth that is ideal for evoking the romanticism of a new beginning. On the second single, ‘Look At Me Now’ King details a breakup — “did you keep all the records, do they sound good without me?”. She appears defiant as she sings, “everything is better since you walked out on me”. It’s neatly matched by the pulsing funk of the rhythm and Queen aping guitar part. The silky funk evokes last year’s wonderful Natalie Prass album. Along with her producer, Jeremy Most, King makes choices that always highlight the strength of these compositions. The arrangements are spacious, and they let the songs have plenty space to breathe. Whereas The Switch was looser and had touches of jazz, these songs are tighter — she increasingly draws from the glossy backdrops of 80s/90s R&B. The rolling drumbeat of ‘Teach Me’ shows how she can effortlessly link a retro-soul melody balanced by modern production. King’s growth as a performer is evident as she increasingly reveals an attitude only briefly glimpsed on The Switch. The guitar licks and velvety synths that float around her are blissful on,‘Can’t Hold Me’. Her voice may be smooth on the surface, but it’s underlined with a grittiness as she sings, “you can’t hold me now, only I can do that”. The delicious electro-ballad ‘Forgiveness’ glides with the same restraint and class as Sade’s most rewarding songs. There’s a welcome touch of Minnesota-based group KING, too. She again, sings of a past relationship — “I just can’t stay in your presence without making bad decisions” with a spark that’s irresistible. On the delicate quiet storm ballad, ‘Blue Light’, King is surrounded by waves of backing vocals as she wistfully sings, “everybody’s got a little star they can find”. The swelling Disney-like strings show how well-judged the production is — they perfectly radiate the beauty and weightlessness of the lyrical sentiment. ‘Running’ gives Scenery its most nakedly emotional moment as King sings, “and I can stop running from whatever I become”. The simple structure is held together by her incredible, soulful delivery as she sinks into the stunning gospel-led backing. Like many of the decade’s best albums, Scenery sometimes takes its cues from Prince. ‘Marigolds’ features a twisting jazzy melody that has hints of his most stripped-back ballads. When the spinning synths in the coda appear, it’s clear King has similar ambitions as she subtly shifts the song’s tone (something Prince commonly did). She channels him circa Parade on the tender, ‘2nd Guess’, especially in the second half when it climaxes with a rousing guitar solo and twinkling, perfectly cinematic keyboards. As ‘Go Back’ closes the album, King uses her most autobiographical lyrics to describe moving from the city out to the country — “so I lick my wounds, I got nothing to lose, I’m heading out on my own”. This newfound positive outlook resonates deeply and is just one of the reasons why this album is so mesmerising. Her vocals always hit the sweet spot and are elevated by the flawless production and a seamless run of gorgeous melodies. Scenery is the year’s first remarkable record. Scenery is out now on ATO.